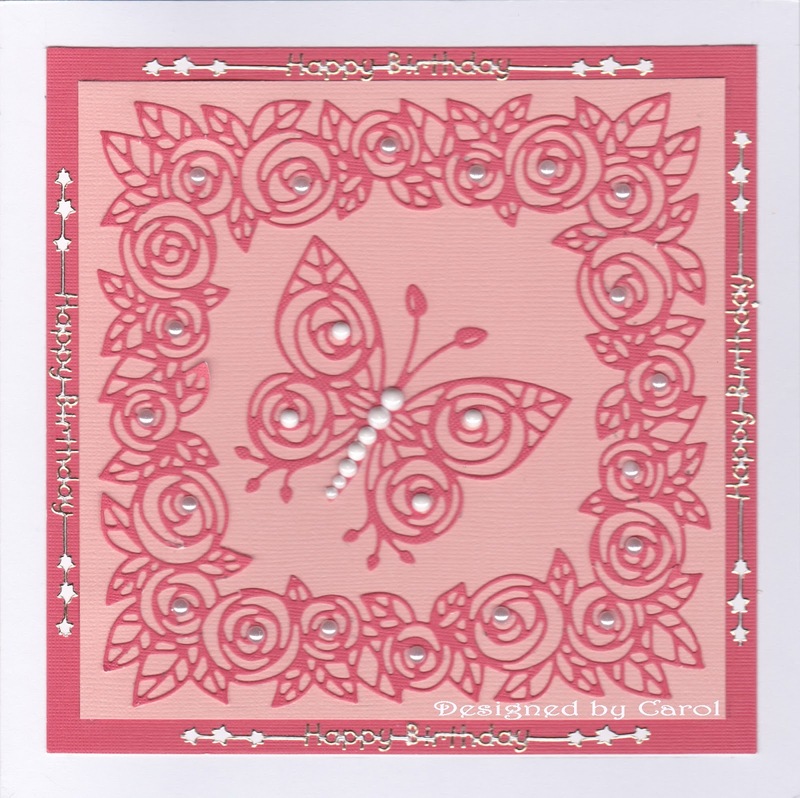 It is difficult to believe that it is CD Sunday's 9th Birthday. The actual Birthday is on the 18th April but today is our nearest Sunday. As promised the team are giving prizes. 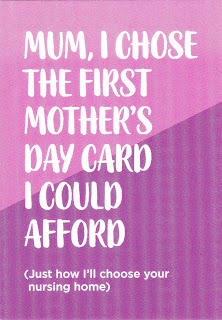 Good value vouchers but more details about that can be found on the CD Sunday Blog - here. As it is my birthday this month (Easter Sunday) and also Her Majesty the Queen's birthday (same day as mine) I decided to do a patriotic card - at least colourwise. 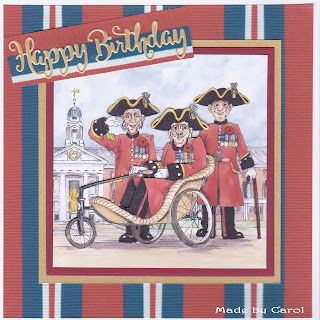 Her Majesty is about the same age as some of these wonderful guys but I hasten to add that I am NOT. Pretty please come and join us especially as we have saved our pennies for the great prizes that will be awarded. I look forward to visiting your blogs and to then together with my fellow teamies choosing our winners. 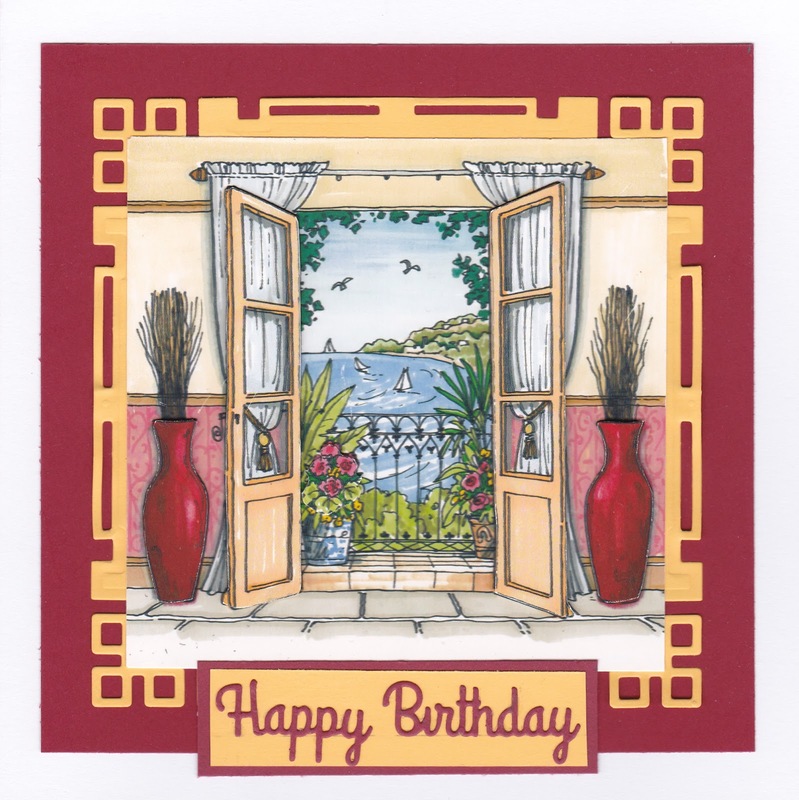 I have used yet more images from La Pashe CD's and this time just one die cut frame for all except one. I had fun with colours and gems. I have now made at least half of the quantity I will need and I plan to make some stitch cards - for a change. 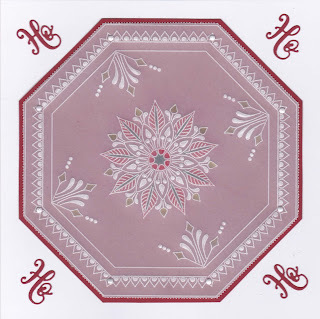 As promised here is a Christmas card made in parchment using parts of the Groovi plate 'Tina's Henna Corners 2'. I had used it earlier during a lesson here. 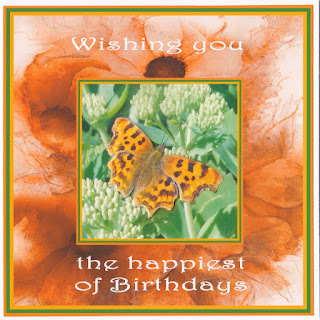 It has made a slightly unusual card - certainly very different to my usual makes. The jury is still out. My son says he likes it. Well it was paraded in front of him and poor lad couldn't say much else - but I am still not sure. Perhaps it just isn't 'Christmassy'. Good Morning on Mother's Day I hope the weather will be fine for the day. I always write this a couple of days in advance so I never know what the weather is going to be. The image and background all come from 'The Best of La Pashe' CD. I have done a little decoupage and added a few strategically placed gems. I am afraid I cannot remember the make of the Birthday banner die. I hope you will join in with us and talking of joining in please don't forget that Challenge #8 will be our 9th Birthday Challenge and there will be prizes. 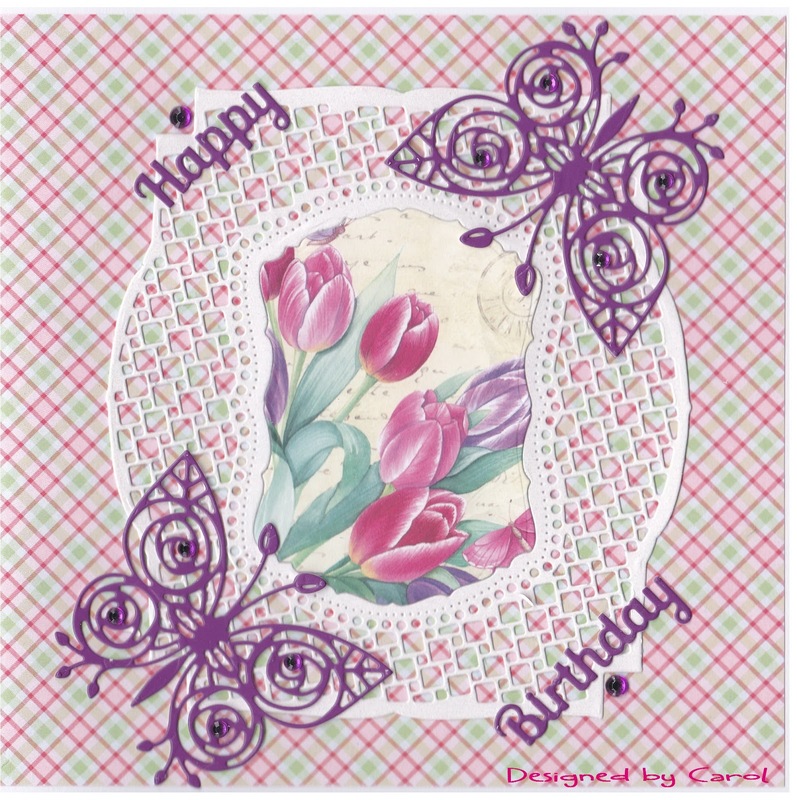 I can't believe that it is 9 years since the Blog was started. I joined in the challenges during the first or second week and have been doing so ever since. 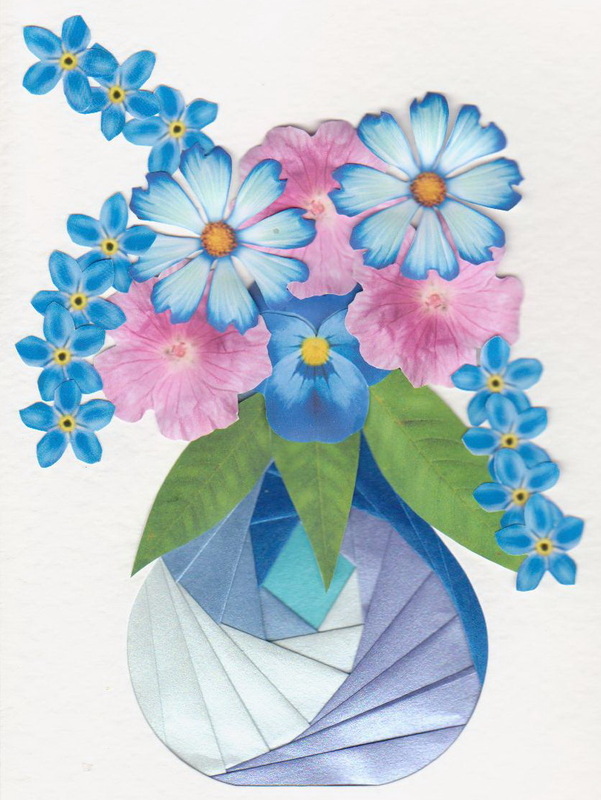 As it is Mother's Day I wanted to show you the card I received from my daughter. It is good that I have the same sense of humour. In fact would rather this than a slushy one . On that note I will say - See you on your Blogs. 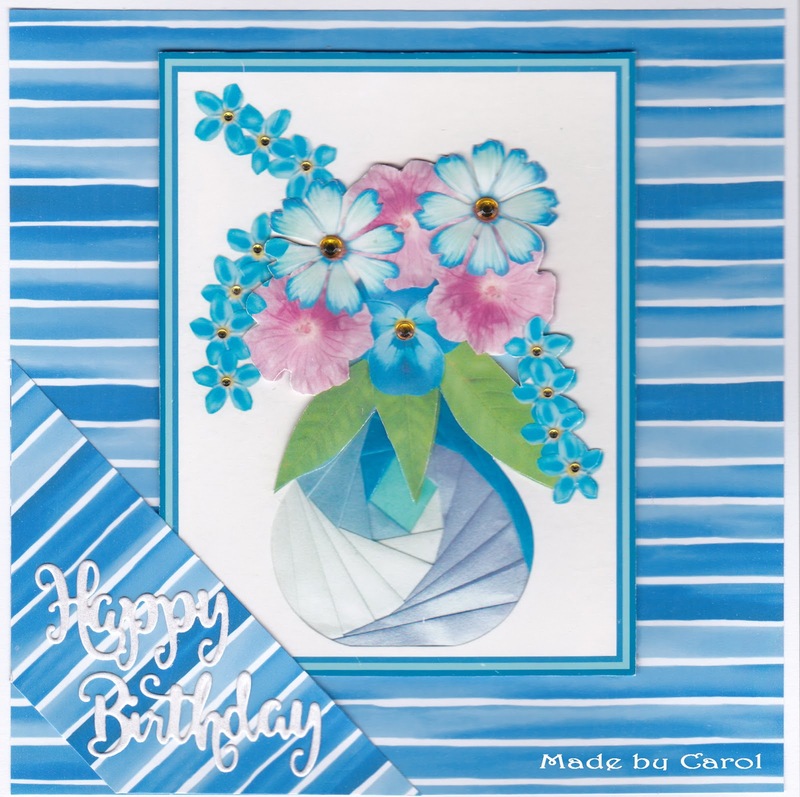 This time I used die cuts, gems and some La Pashe circular pictures . These were fun to make and I plan to add some more . 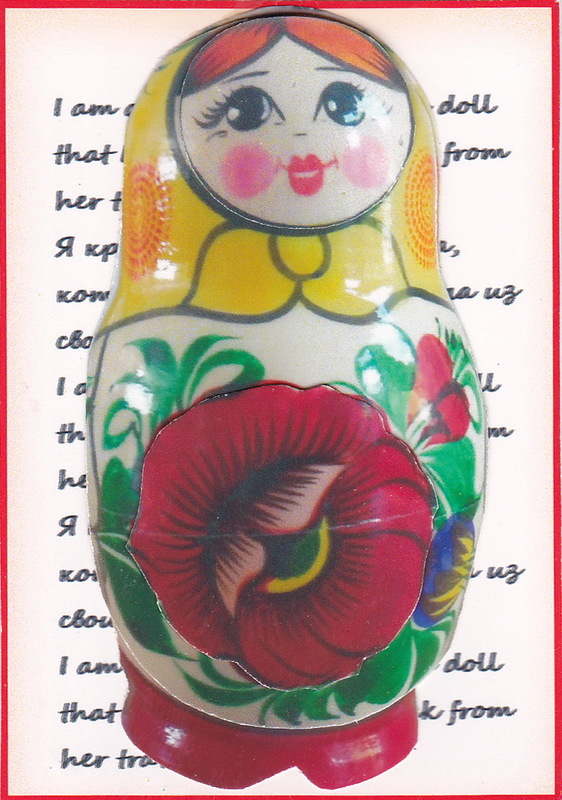 My fellow CD Sunday teamie Margaret has just come back from a trip to the far North and she brought back a couple of Babushka dolls. They are on her Blog and I liked the look of them so I made her a couple of ATCs using her photos and adding some words in English and Russian. Margaret has received them so it is safe to show them here. 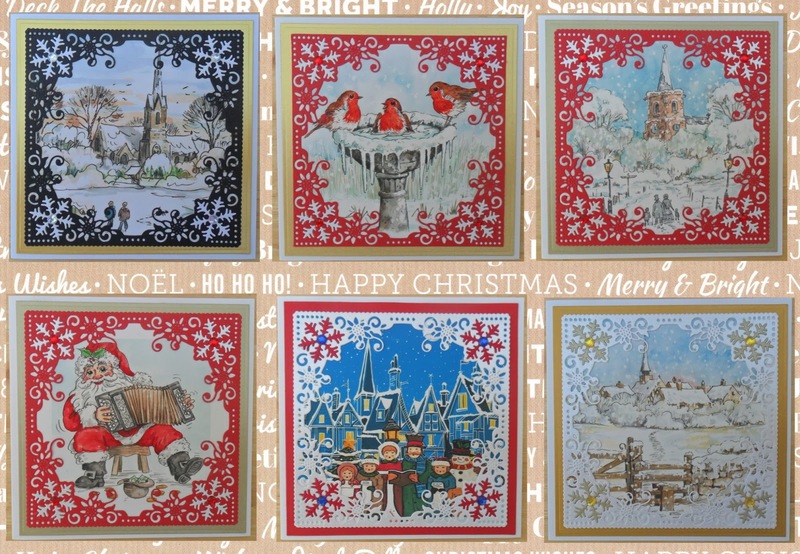 Sorry about this but I have started in earnest on my Christmas cards. I have various things coming up during the year one of which is an op for cataract removals so I am getting on whilst I can. I have been using my La Pashe CD's . 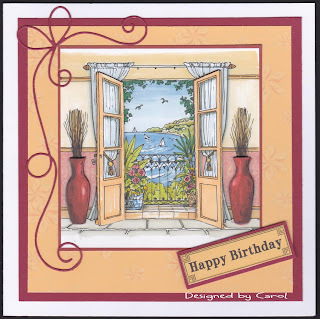 I copy and paste them into my own graphics programme so that I can add borders and sentiments. I then print out each one twice so that I can do a little decoupage ( only one layer) and fimally sprinkle a little glitter. I must confess to having used these images before but I do love using them and as long as I don't send the same ones to the same people I should be OK.....for a while at least. As usual at our Judith Maslen workshop on Saturday (first of the year) we had two super new patterns to work on. Below is a photo of the morning session card jm105. It was designed for a wedding and as I don't have any that I know of in the near or distant future I altered the bottom of the pattern to exclude the words and have attached a very temporary sentiment. This was all after discussion with Judith. The sentiment is very quickly and crudely made and stuck on with removable tape. It isn't even straight. This is my favourite image of all time from Judith and I really loved doing it. I must admit though that some of the close and fine work was a struggle. I have been told I have cataracts that need to be dealt with and I discovered that this is affecting my parchment 'abilities'. I don't think I will be doing much more until after they have been dealt with. 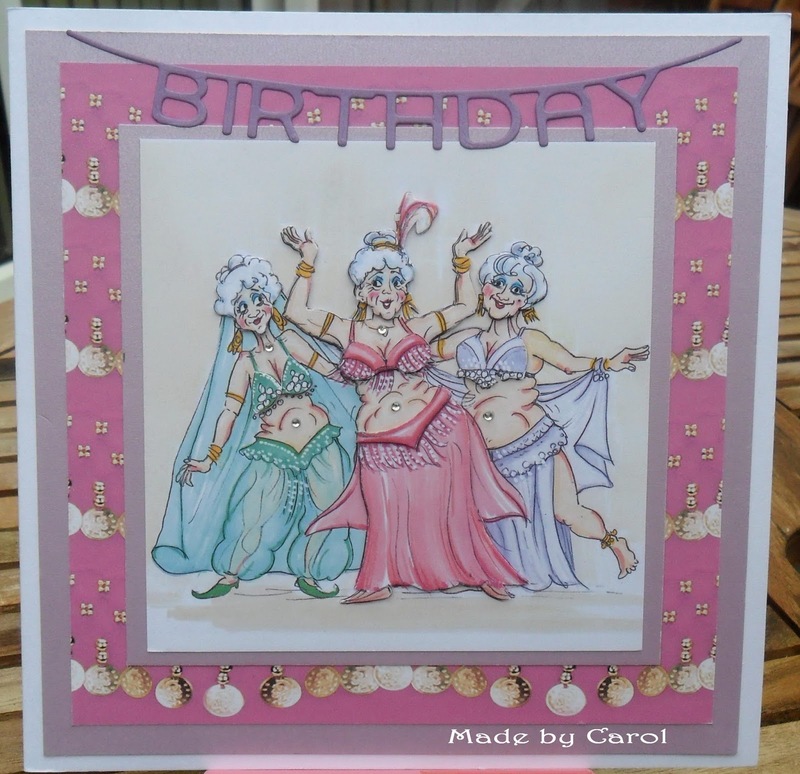 Ordinary card making seems to be unaffected in the same way - at the moment. 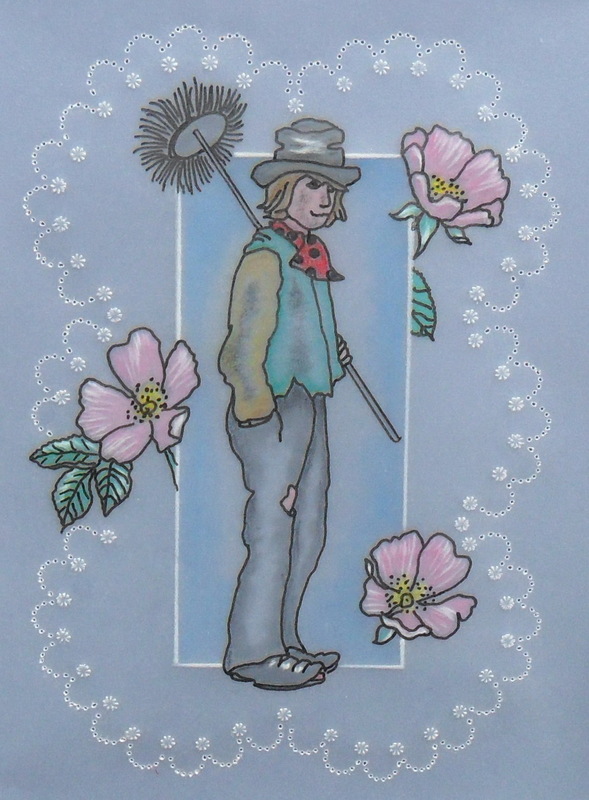 As I was struggling Judith kindly drew the stick for the sweep's brush. I couldn't bear to think of my clumsiness spoiling the work I was enjoying. And I did enjoy the pattern. Here is a closeup without the crudely made sentiment. 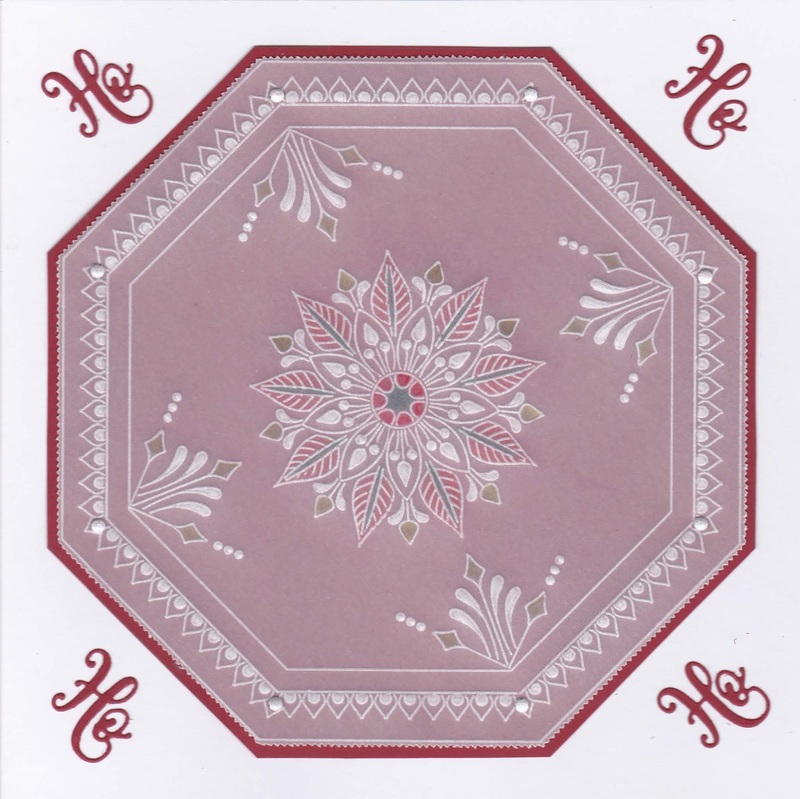 If any one reading this enjoys parchment work I can recommend them buying this pattern from Judith It might be a week or so before it is added on her site. (see sidebar). What a windy week we are having. I don't like the wind. Rain I can cope with but wind somehow I find very unsettling. Giving them names seems to make it worse. 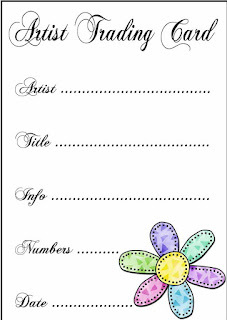 Our 'Anything Goes' themes are still proving to be more popular than a set theme. I have quite a few birthday cards to make each year as I belong to a Facebook birthday group as well as having friends and relations to make for, and my annual total is about 65-70 at the moment. I am finding that I can combine my CD Sunday makes with my birthday lists. 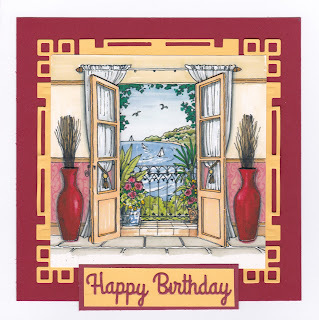 For my card for this challenge I have turned - yet again - to La Pashe. I don't think I will ever run out of La Pashe images. They are all so well drawn and when combined with one of the fantastic backing papers I don't think you can go wrong. So I have used - La Pashe - The Big One Vol 1. Anemones are one of my favourite flowers and I love this bold colourful image. Appropriately the name Anemone means 'wind'. I have done some decoupage. I still love doing decoupage even after all this time. I have also used my new favourite sentiment die yet again. There is something so pleasing about the font that has been used. Please come and join in with us. With such an open theme I am sure you will have something to offer as long - of course - that you have used a CD somewhere in the making. Thank you for visiting and taking the time to read. Any kind comments you care to make will always be appreciated. Our Parchment Lesson in February was based on a Groovi plate instead of using a traditional parchment pattern. 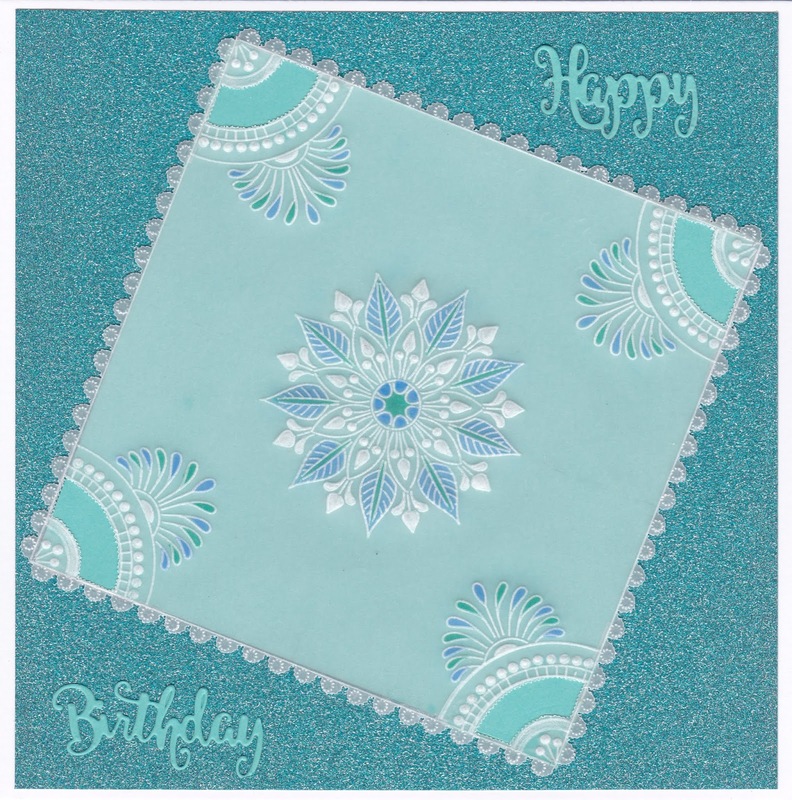 The Groovi plate we used was one designed by Tina Cox and it is called Tina's Henna Corners 2. These patterns are based on Indian henna designs from Tina's background. They are beautiful and I prefer them to many of the other Groovi designs. I chose the same colouring that Marilyn had chosen as this colour range is one of my own favourites. The colouring on the parchment was done with Faber Castell Polychromos pencils. At the class I studied a small Groovi book showing at least 20 designs using this plate and one other. 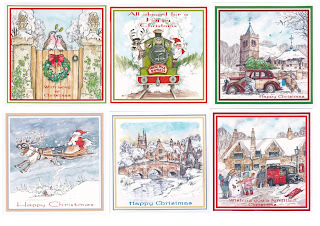 I purchased it and hope to use some of the suggestions in some Christmas cards this year. It is pouring with rain. Quite heavy in fact. It was glorious sunshine when I wrote this yesterday. What a shame! We have another 'Anything Goes' challenge which is appearing to be popular with everyone including the team. I chose to combine this challenge with the birthday of one of my two Great Nephews. I don't see much of him but my sister (his Grandmother) tells me he is just a typical 4 yr old. 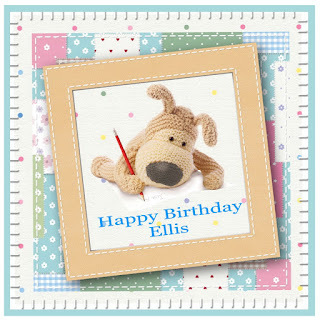 It was made using the Boofle CD for Docraft Digital Designer. I designed it and then printed it out to matt and layer. The sentiment was added using my ACDeeSee programme. I love the Boofle character and this was fun to make. Just a nice image for a 4 year-old. We hope you will join in with us. Just please don't forget to use a CD somewhere in your creation. We are now over halfway towards our Blog Birthday when we will giving a prize or prizes so please look out for challenge #8 when it comes. 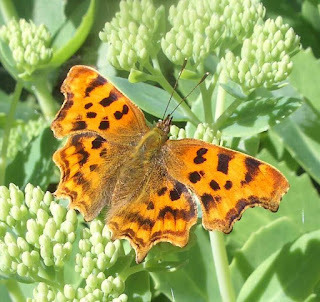 Thank you for visiting and if you feel like leaving a comment I would be pleased to read and then visit you - but please not the lady from America who placed lengthy advertising comments on my last 5/6 postings. so I have been adding to my card stock like crazy. A long, long time ago I was 'into' Iris Folding in a big way. 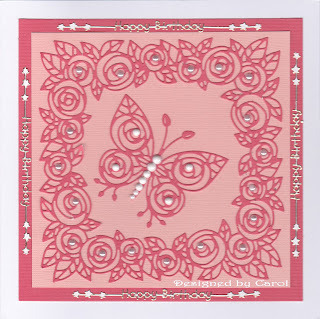 At the time I was making cards to sell at my local shop and Iris folded cards were very popular at the time. 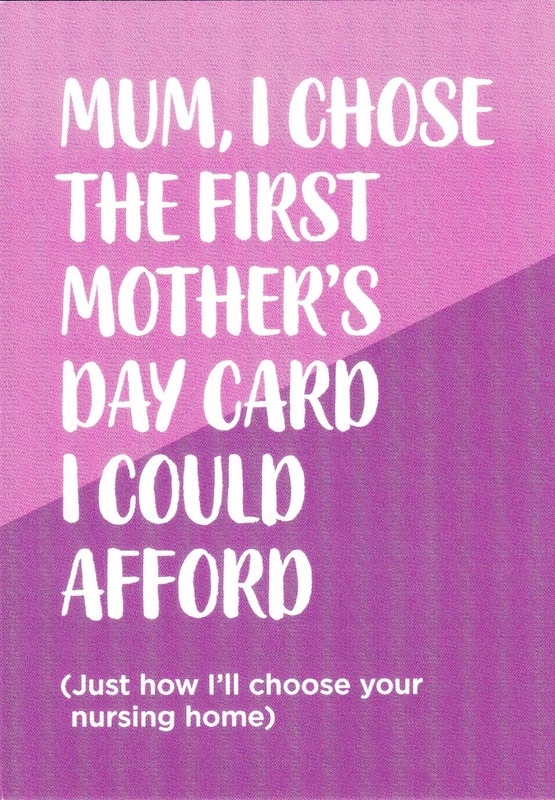 This was the basis of the card that I made. 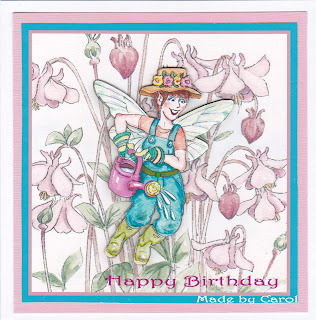 The flowers were from a CD programme called Little Big Tree - Wings and Flowers. A fabulous system and I still use it. I found the photo that I had taken at the time and decided to use it. 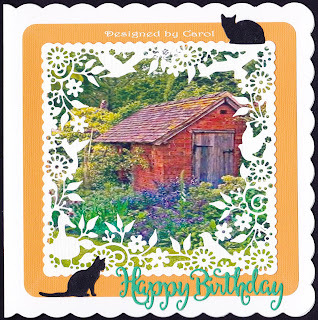 I cropped and then used another graphics programme to add borders and to duplicate so that I could add a decoupage layer. I enjoyed making the blue version so I well may do something with this one. As I said - anything but the ironing. And I even managed to make some chutney as well. I have to make my own as I cannot eat onions and it is hard to buy commercial chutneys without them. This is a from a family recipe- Apple and Date - and here are 14 of the 21 jars I have just made. They are still slightly warm. 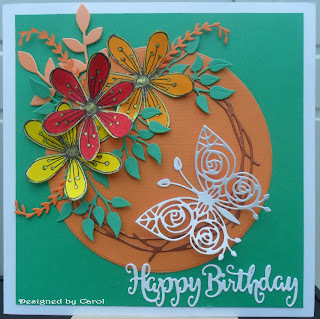 Welcome to #4 - another 'Anything Goes' challenge - this one hosted by fellow teamie Wynn. The teamies - including myself - are all enjoying this new freedom to choose any theme as long as a craft CD has been used. 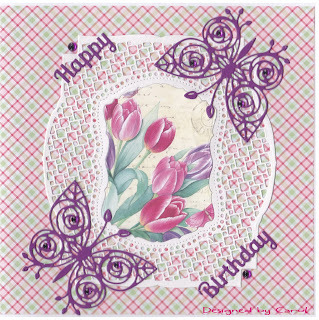 For this challenge, I have chosen to make a birthday card for a friend who has an April Birthday. 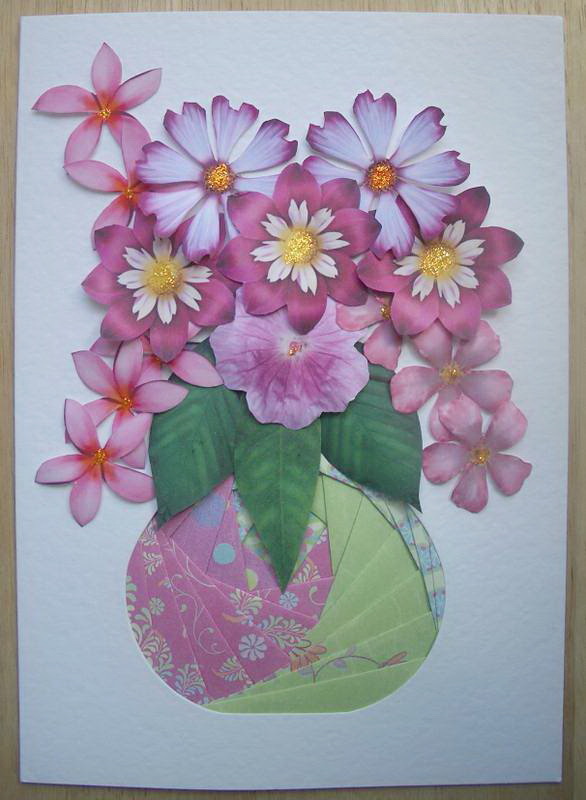 Although this isn't an actual Easter card it does hint that Spring is on the way. (The friend doesn't follow my Blog so won't see this). The image and the sentiments are all from La Pashe - The Big One Vol 2 - 'Sports and Hobbies' and the background is from ?? I cannot remember at the moment. There is a little decoupage. We hope you will join in with us. If you care to leave a comment on your way past it would be very welcome. I look forward to visiting your Blog. I know that when I go visiting I always find something new to admire ----or to buy! I look forward to visiting you or hearing from you. Now that Christmas and New Year are well and truly over we are back to monthly themed swops. 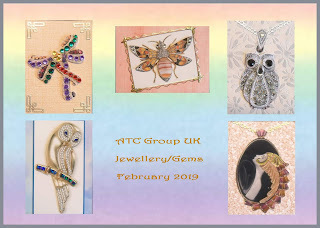 For February I made a suggestion and it was kindly accepted - 'Jewellery/Gems'. I have made quite a few as I particularly love making jewellery ones. You can find some super images and it is always a good reason for using gems. Now, who doesn't like using gems? These are the ones I have sent. This is my presentation. As I have said many times the organisers always do a super presentation - much more betterer than I could do. I am looking forward to see what my swops will be. 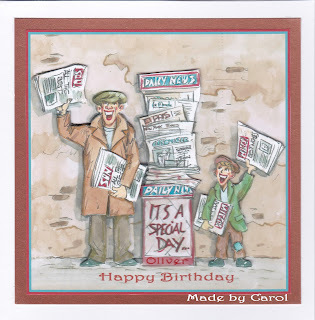 The weather at the moment is so changeable - snow and then lashing rain and howling winds - that I have decided that making cards is the bestest thing to do. Keeping warm and dry and being productive. (anything but the ironing). So I am methodically working through my card lists. I am trying to use many of those dies that I have bought but not yet used and papers that I have collected and are collecting dust. 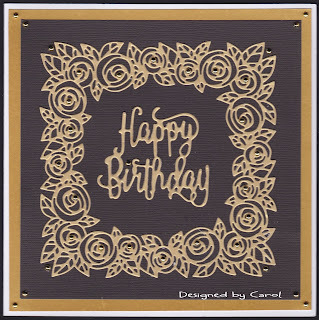 This one uses a new frame die that I purchased from The Art of Craft. 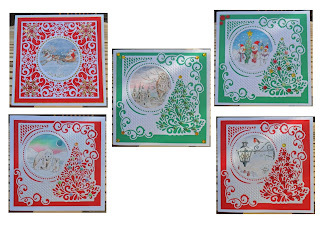 I wanted a square frame that wasn't a Christmas one (I have oodles of those) and the edge of the frame had to cover the edge of the insert image as much as possible. 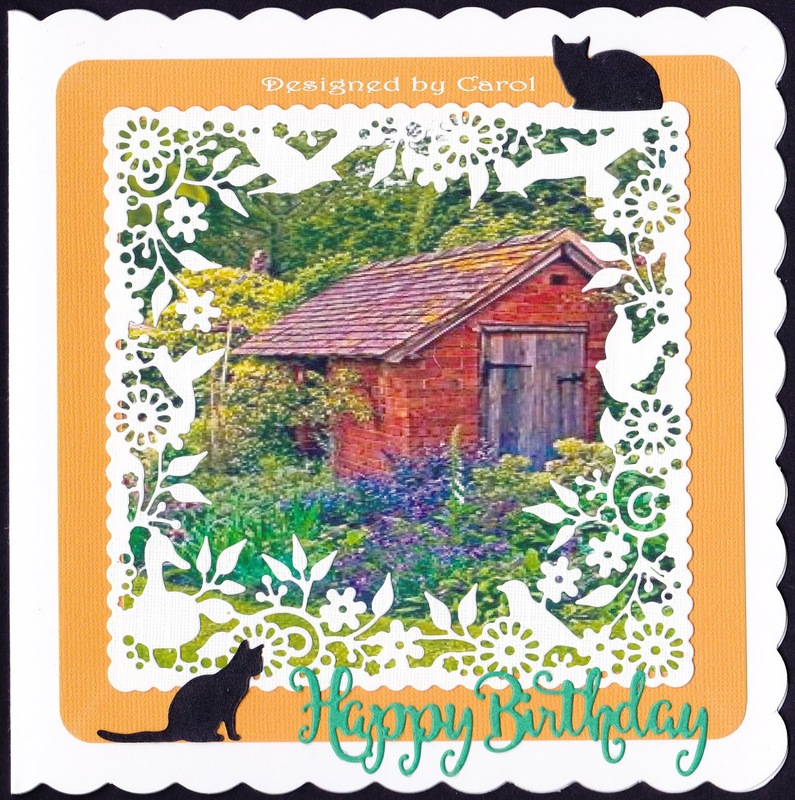 The cats are from dies that I have had for ages and the sentiment is from my now favourite Happy Birthday die. The peachy/orange background mat is from a pad of 6 x 6 adhesive mats by DCWV. I have had this pad for a long time and found it forgotten in the cupboard. I would like to find more of the pads in perhaps different colours (to purchase) but no luck so far. I also used one of the white sheets for the frame so it does diecut well. 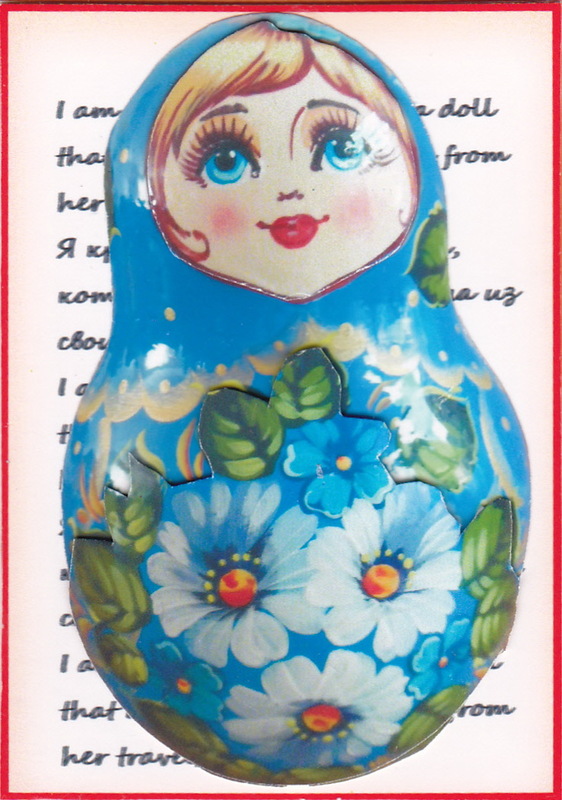 The sentiments are peel offs I found (yet again forgotten in the cupboard). I didn't have to search for the pearls. I always know where they are. I hope you are all safe and dry and perhaps crafting. Just don't do the ironing to make me feel guilty. Another one for the Birthday box....perhaps! 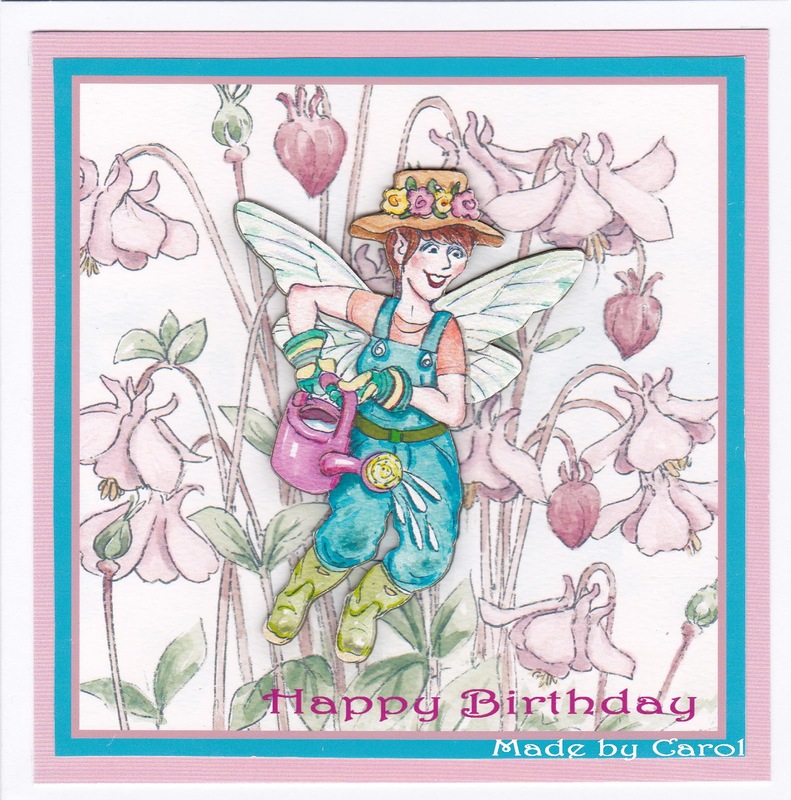 I have had so much fun making the card that I am going to find it difficult to send it to anyone. 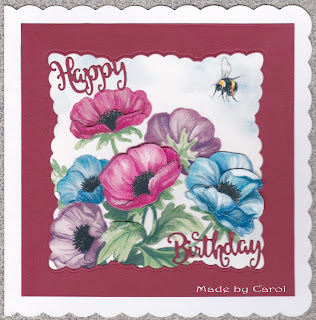 It started off with a stamped card I saw displayed at The Art of Craft. 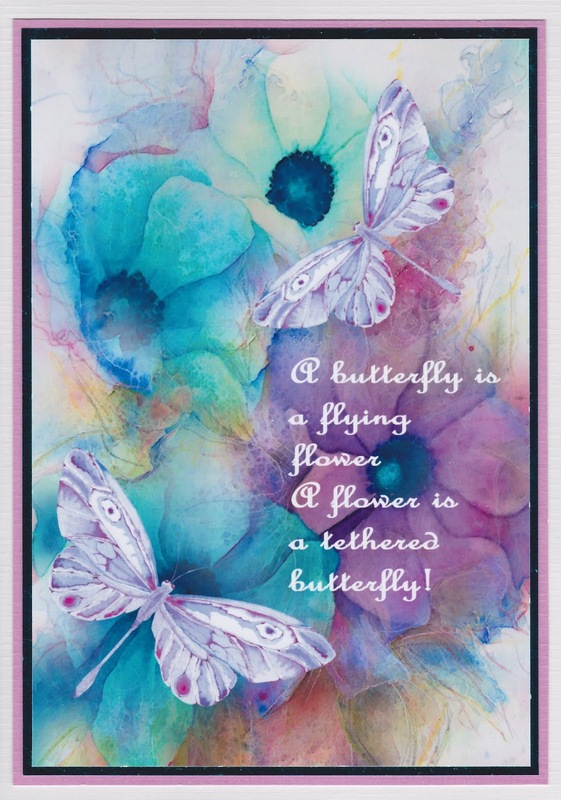 The stamp used was of a single blossom designed by Julie Hickey. I loved it straight away and had to buy it. I had just bought a new set of watercolour pens from Amazon and I could see these two being used together. 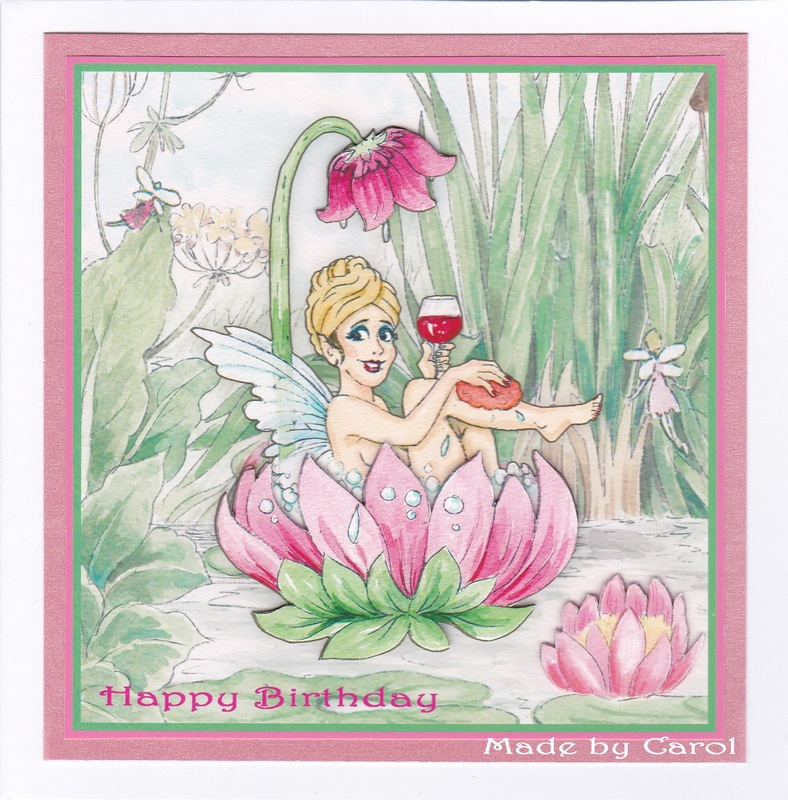 To start with I stamped 5 and coloured in five different single bright colours. Added the gold detail around the edges and then just kept looking at them trying to decide what to do next. I went through my stock of die cuts and found all sorts of leaves and things in all sorts of colours (all left over from other projects) and just started to put them together. Now it is all finished I will put it in the box - for the time being. I wish you all the fun I have been having. Good morning. I think everyone has some snow by now, but I hope it isn't too bad wherever you are. Here in Surrey, we have had a couple of falls and it is staying at the moment. It does look very pretty but I am glad I don't have to go out in it. On to crafty things that we can do in the warm. 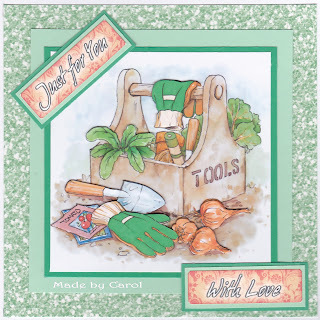 We are still having 'Anything Goes' - using a craft CD - as our theme and this one is #3. 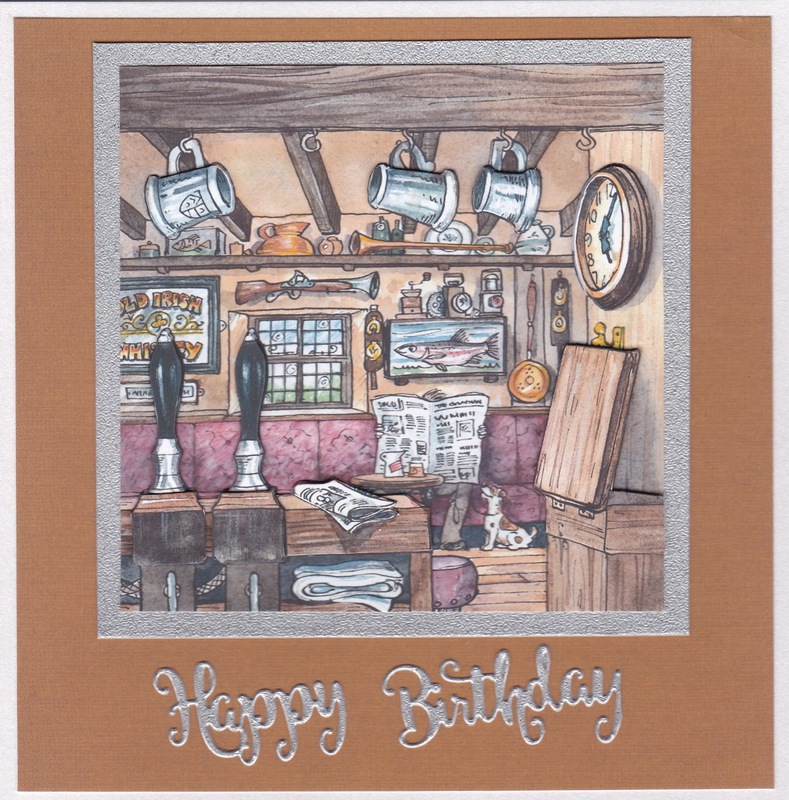 For this one, I took the opportunity to make my eldest son his birthday card (last week). I have actually used this design before (here) and as I particularly like it I decided to use it again - slightly differently though. The image comes from a Joanna Sheen CD - Victorian Ladies and Gentlemen Disc 1. There are a couple of areas of decoupage - the balloon and the large wheel/fan? The top layer of the wheel has been attached with a brad. The sentiment is a new favourite die. I think it is from here. I hope you are going to join in with us. 'Anything Goes' gives you carte blanche as long as you have used something from a craft CD and tell us which one. 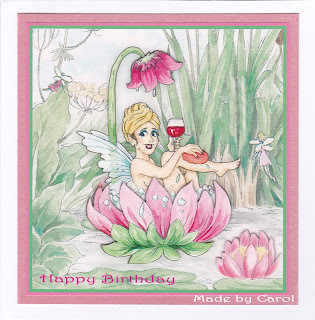 I look forward to more Blog visiting to see your wonderful creations. I have been making some more cards for my go to box. 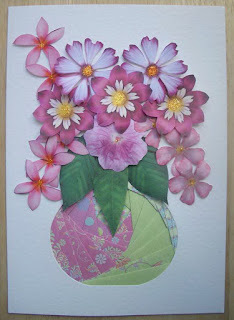 Decoupage again and some die cutting. As you can see I have used that same image again on the third card. What can I say - I like the picture. But I think that is enough times this year. CD Sunday are revisiting 'Anything Goes' but this time hosted by Jane. 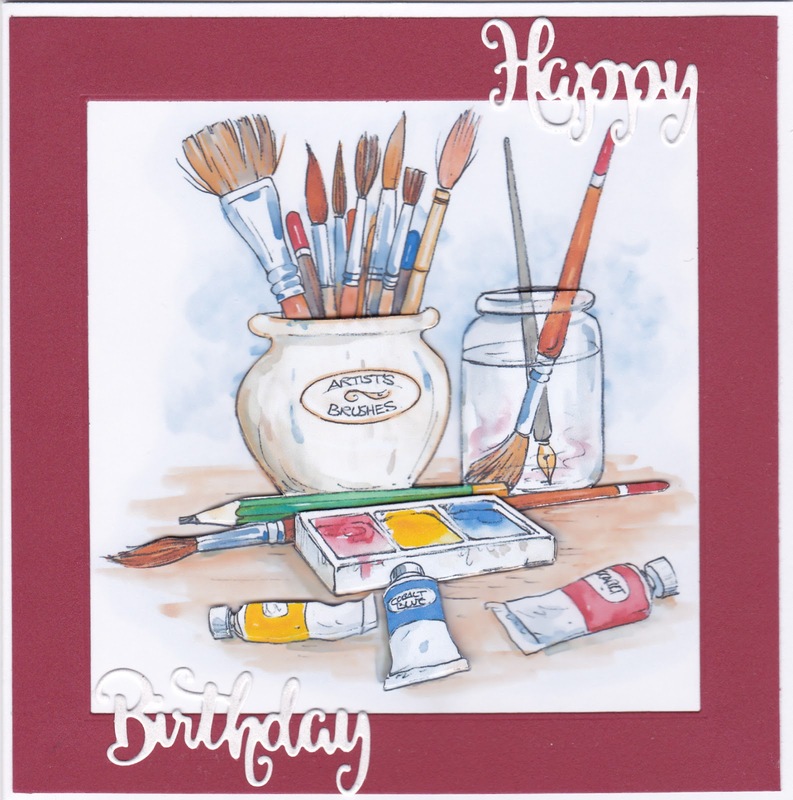 The background came from MCS Watercolour World 1 CD. Obviously, the colouring had to be changed and I had fun with colours and hues. So after some satisfying playing and then using my ACDSee graphics programme (CD based) I added the sentiment and the borders. 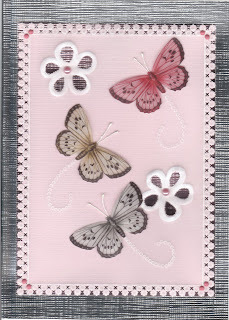 I gave the butterfly one decoupaged layer. Hope you like the result. Please come and join in with us at CD Sunday. Please, please remember though to use something from a craft CD in the making of your project. It is amazing the entries we receive that have no CD content at all. We even had an entry from someone who hadn't used a craft CD but told us which music CD was listened to whilst she worked. Don't forget you can also enter by email or Facebook. Details are on the CD Sunday Blog here. I enjoyed making these. 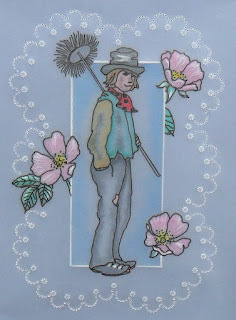 Decoupage was my first 'crafting love' and it is good to go back to it. The images are all from La Pashe. I love their CD's. What a pity they aren't made anymore. 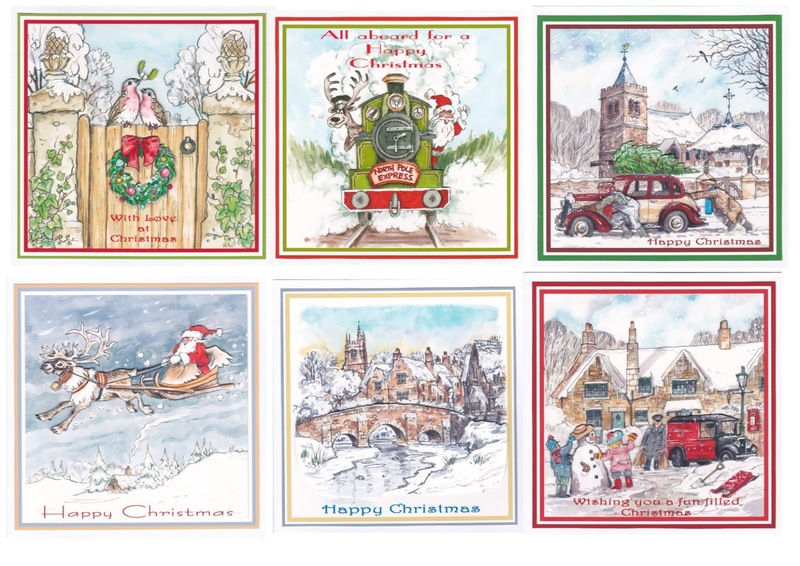 I think I may have mentioned before that on one of my trips to Northumberland I met the artist who did all the images for the CD's. A very talented man. So three more for the birthday box. Happy New Year wishes to everyone. If you made any resolutions I hope you are keeping them. The best way to keep them is, of course, not to make them. Safer that way. 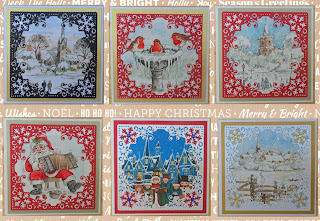 I have used a background for them all from MCS - Country Life CD - Background - 43 and the actual ATC backs are printed using a Carol Ann's Studio CD. 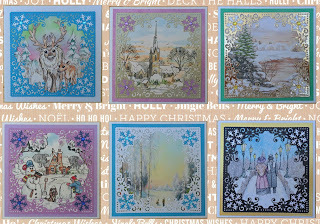 I haven't made any of them 3D this time but they all have had 'raindrops' added using a Sakura pen. I hope a good Christmas was had by all. My household was full of coughing - and in fact still is. Beware - there is a nasty bug doing the rounds. Just to add to the icing on the cake the boiler needed urgent repairs and we had a couple of very cold days without heating and hot water but all is warm and toasty now. 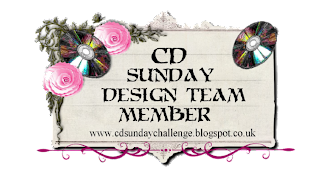 As you will have seen from earlier CD Sunday Blog postings we are only going to be giving prizes for three special challenges later in the year. We will still be posting our Top 3 choices for our normal challenges and it will be my turn for this challenge - #1 Anything Goes. 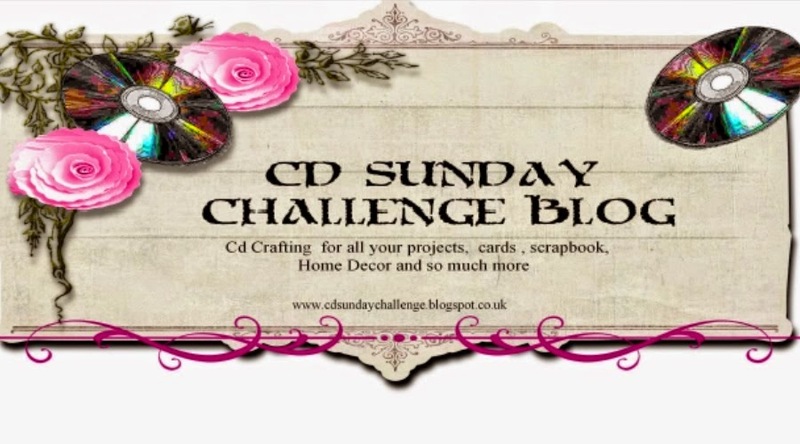 Please join in with us and if you haven't a Blog you can email us at cdsunday2@gmail.com or join in on Facebook. Let's hope that 2019 is a good year. We have now almost reached the end of the year and here is the last challenge of 2018. 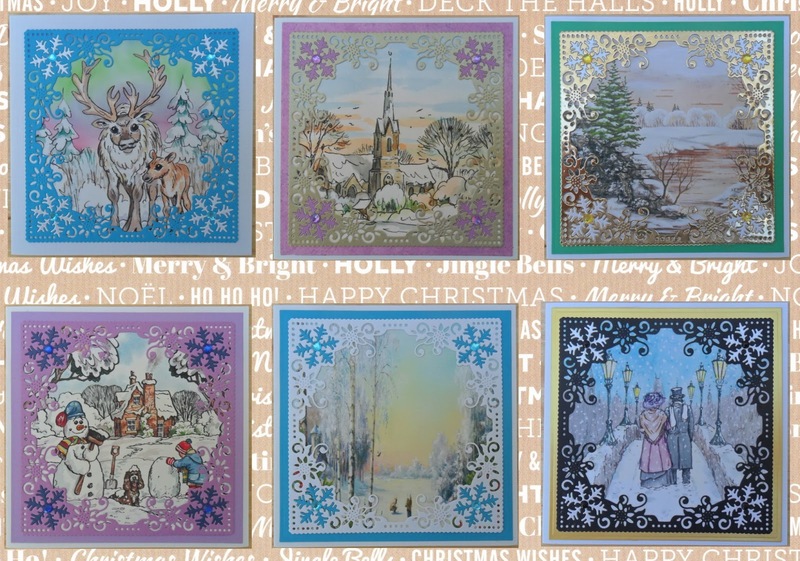 'Christmas old or new' - chosen by Jocelyn. 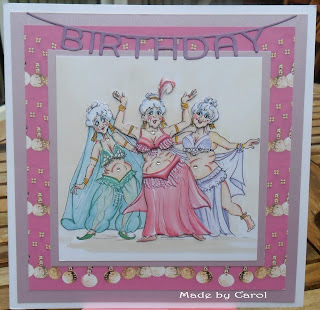 As I suggested on the Blog, try to keep this challenge in mind as you are having that last frantic card making rush. 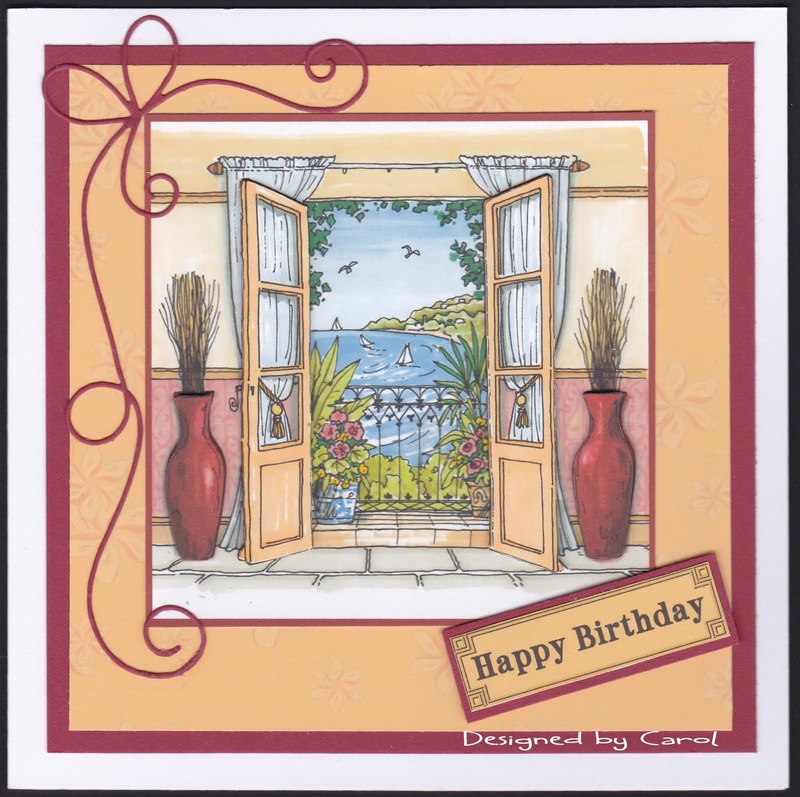 If you haven't time to make cards with lots of diecuts and layers why not turn to a CD and print out a topper on good quality paper - grab a white 6 x 6 card and see what you can do. Even better use a CD based Graphics programme like MCS or Docraft. I do that every year. Design a card with one of these systems and then I have something on the computer that I can print out if needed. I did need to this year as I miscounted and was 5 short. If you do this then of course your card will qualify for this last challenge. 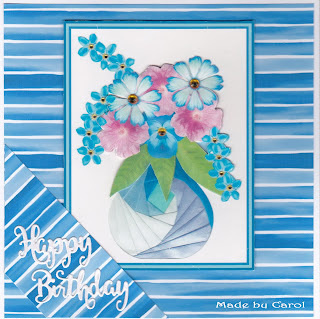 The card I made for this challenge is based on an idea I saw on Pinterest. 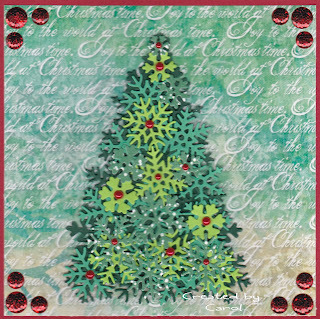 The background is a sheet from a CD called 'Artylicious - Seasons greetings' - Disk 1' .The design is by Glenda Waterworth. The tree is made of many, many die cut snowflakes from a mixture of green card. Many were cut from scraps left over from other projects. 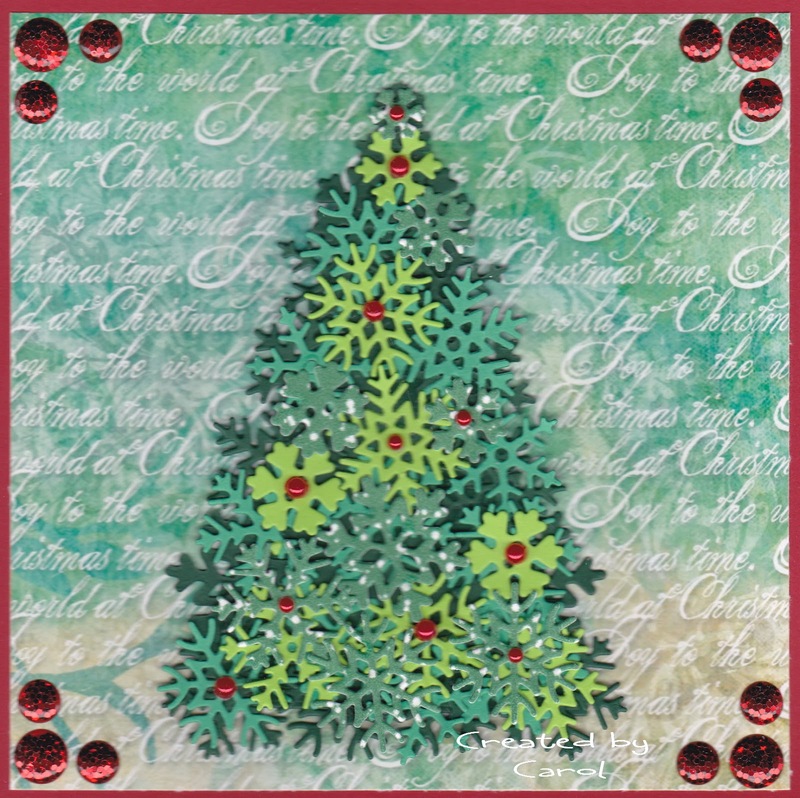 Under the snowflakes is a simple diecut triangle that acts as the tree base and is something to which the snowflakes are stuck. The gems in the corners are big and shiny and sadly don't show up well but you can see where they catch the light. The 'gems' on the tree are red flat backed pearls. 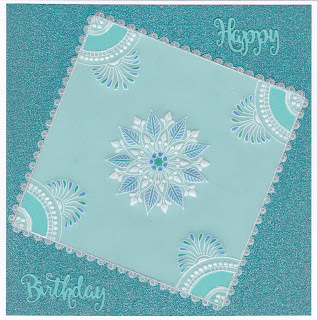 An easy card to make - just time consuming die-cutting all the snowflakes. Please have a great Christmas and New Year. In the new year CD Sunday is being tweaked just a little and all that will be revealed when we post the first challenge for 2019 on 6th January. Just catching up with posting the most recent ATCs I have made for the Facebook group - ATC Swop UK. These have all been swopped and sent out by our brilliant organisers Sue and husband (the Slave). Next are for the current swop - Alice in Wonderland - which - as always - is for the two months over Christmas and the New Year - December /January. These were made using parchment and MCS. I am looking forward to receiving my swops and to another year of making and swopping - all organised by the wonderful Sue and 'The Slave'. 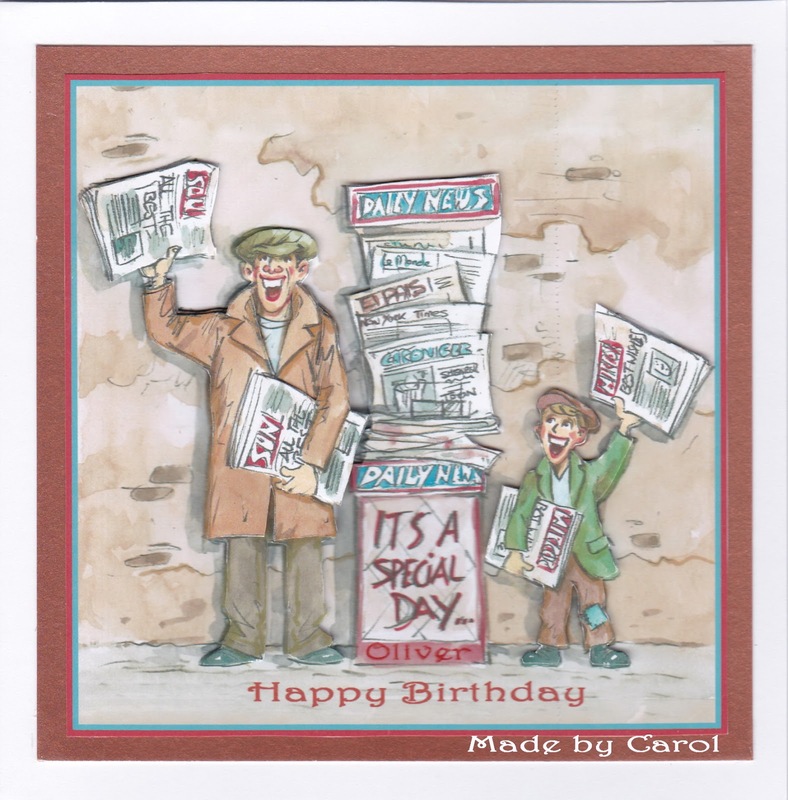 for a Dementia sufferer who will be 81. I found this idea and instructions in an old Craft and Creations Magazine. 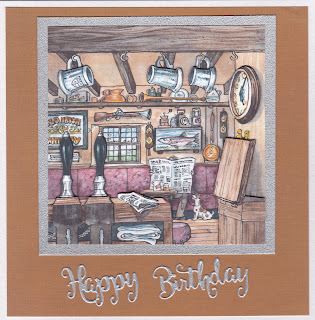 As the birthday card recipient has flown on Concorde to New York (in the cockpit for quite some way) perhaps the image will jog his memory. 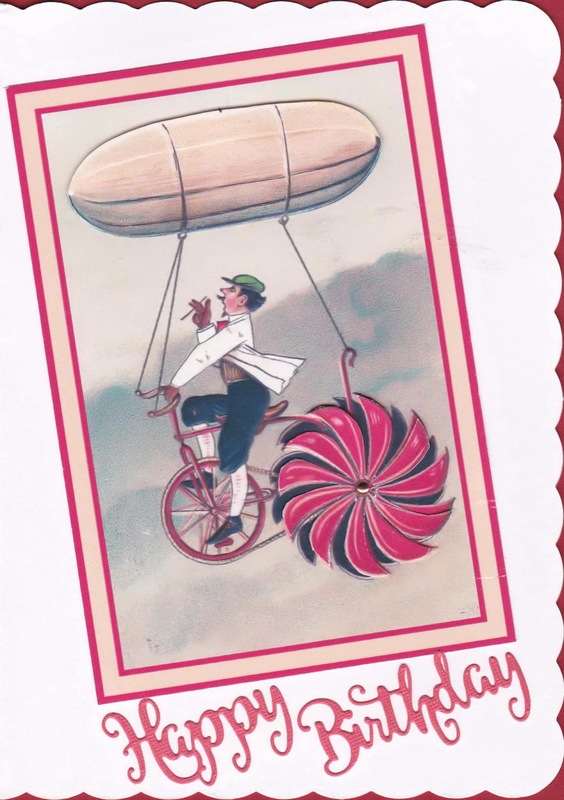 There is nothing else on the card to distract away from the plane way up in the sky.
' Concorde' is behind a piece of acetate so that it can't be knocked off or picked off . 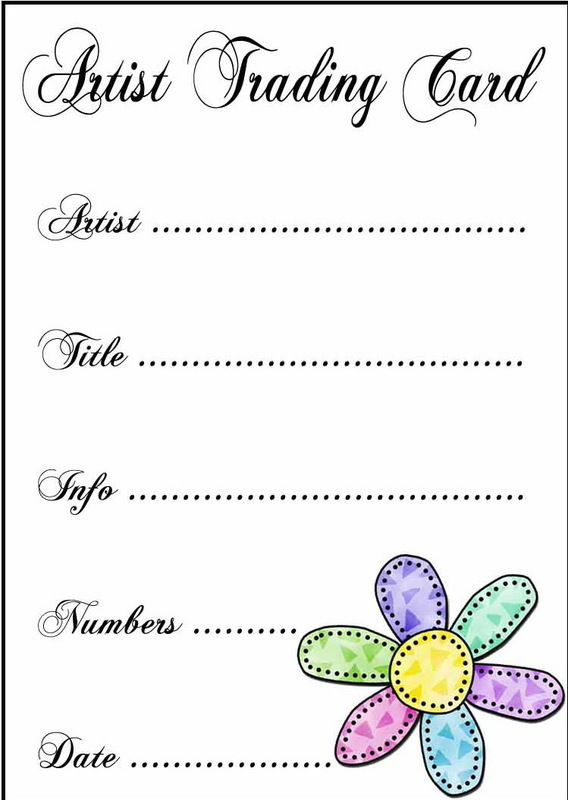 Labels: Craft and Creations Magazine, Die cuts. Please do not copy or use any of the work shown on my Blog. It has been created by myself either using my own design or using or adapting source material that I have purchased for such a purpose. Everything published here is copyright protected so please respect this. 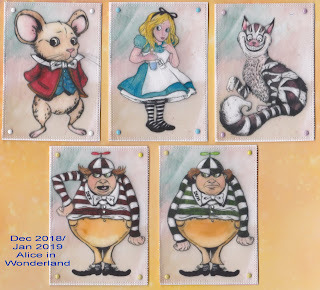 If you would like to know from where I have purchased a particular pattern I will try and tell you if you leave a message in the applicable comment space. Find the day of the week. 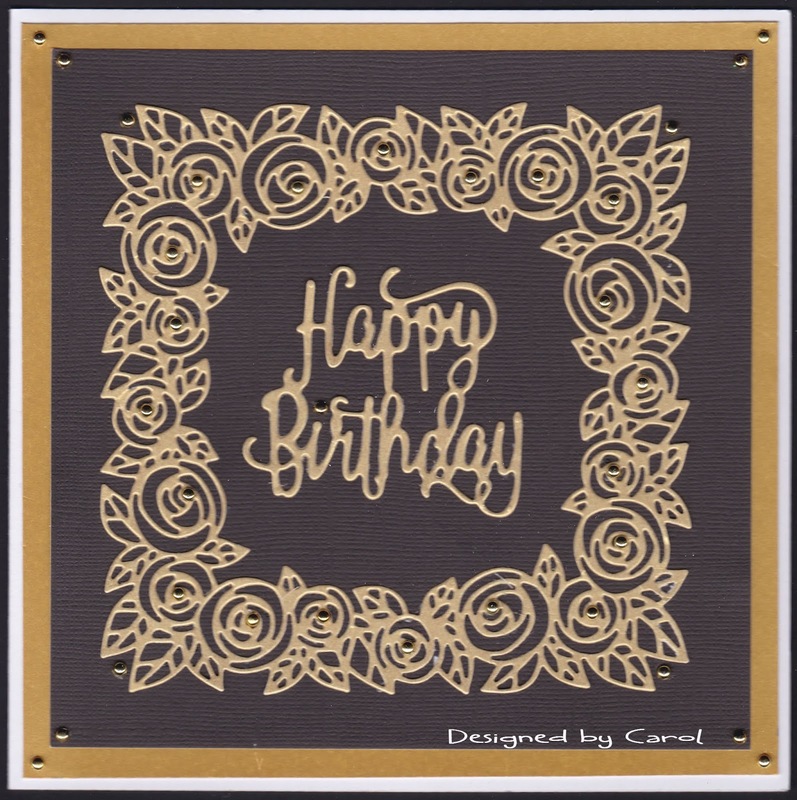 A young at heart Grandmother who is thoroughly enjoying many crafting mediums - particularly parchment work, stitching/beading and decoupage.